I recently enjoyed another part of my Where Atlanta Magazine prize package, which I won in a Facebook giveaway. Gotta love Social Media! 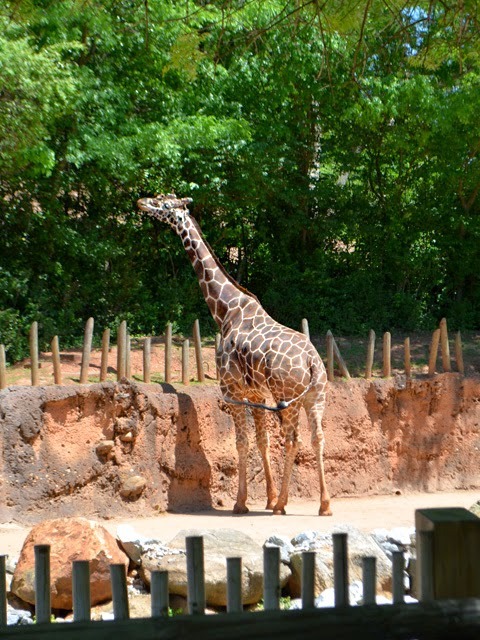 Social Media and all the super fun things to enjoy in Atlanta, such as a trip to Zoo Atlanta. 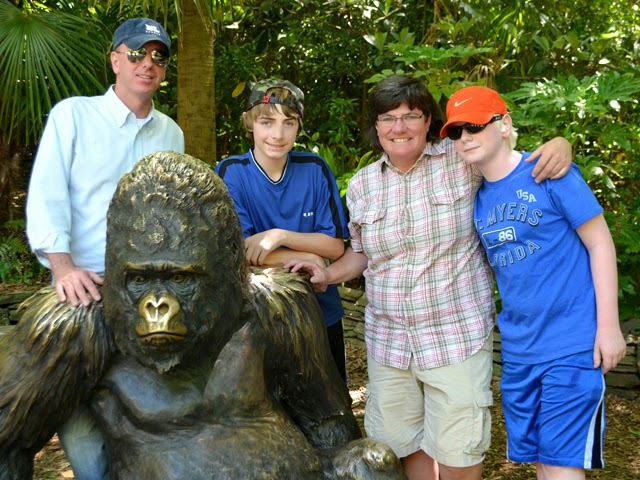 When the tickets arrived from Where Atlanta, I immediately thought of the fun Mary Jo, Zach, Cam and I would have monkeying around at the Zoo. We started with a picnic in Grant Park...the Zoo is in Grant Park. It was a perfect weather day! When we got to the Zoo, there was a sign posted that the Zoo was closing early for a special event. We had just over an hour before we would have to leave. A Zoo staff member heard us, not complaining, but disappointed...we'd been planning this outing for weeks. And MJ and the guys had come from OTP. For non-locals, that means from "outside the perimeter", beyond I-85. The lady from the Zoo explained that there was a special event that evening and that it was one of the very few days of the year that the Zoo closes early. She was super sweet and invited us in to enjoy the Zoo for the hour we had left AND gave us another set of tickets so that we could return to enjoy a full day! That day we got to hang with a certain famous gorilla...Willie B. Our visit was perfect timing...we got to see, just in time, Xi Lan and Po before they were on their way back to China...how lucky were we?! All the pandas were in the habitat that day, and the babies, Mei Lun and Mei Huan—the only panda twins in the United States—were on display, but napping...adorable as could be! 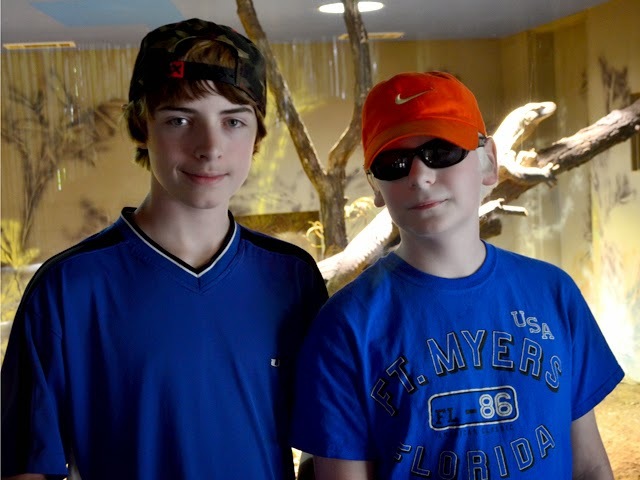 So, the one attraction that the guys really, really wanted to see was the Reptile House, so that became our plan. 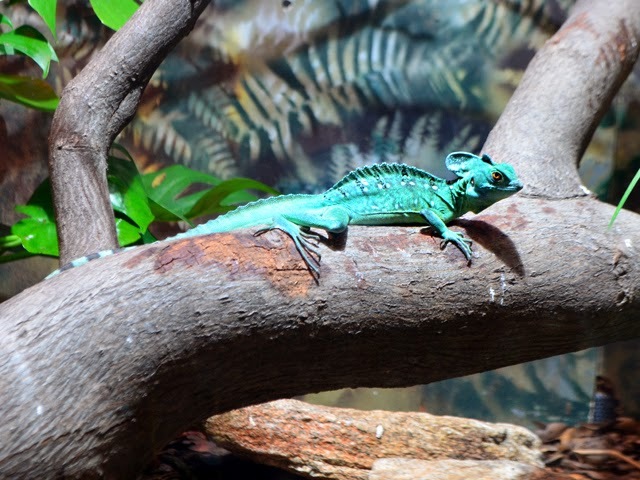 With the limited time we had, we made our way to the back of the Zoo where the Reptile House is, stopping along the way to see a few other habitats. 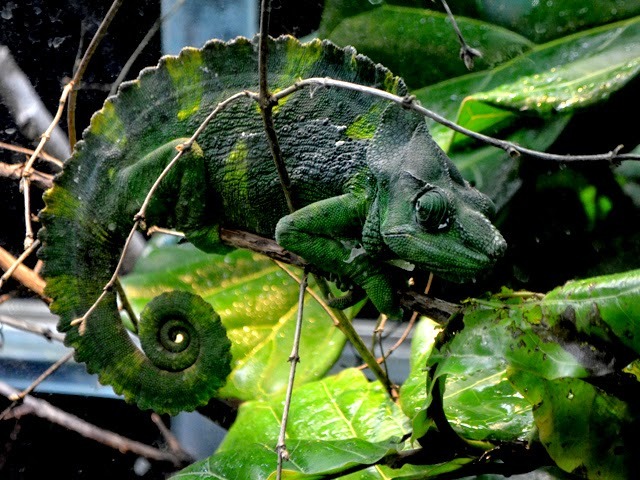 The Reptile House is quite a sizable display that features an alligator snapping turtle, a Komodo dragon, a cobra, vipers and pythons...dozens of animals! I told the guys about the time I had a Boa Constrictor around my neck—I have a photo of it somewhere—when I was around their age. It was pretty cool...and snakes aren't slimy at all! 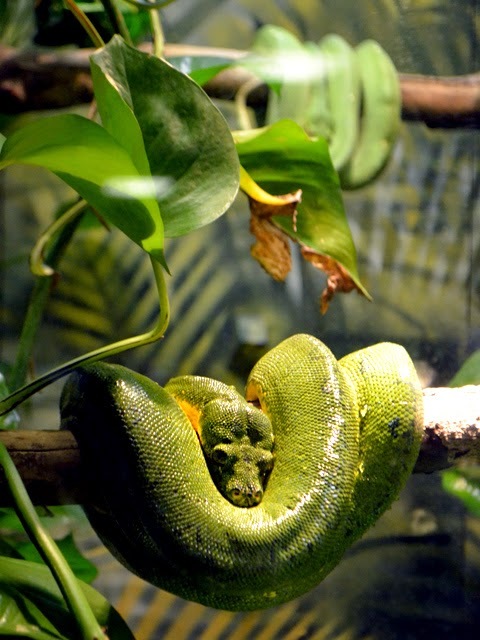 The Reptile House is a popular destination...and here I thought nearly everyone was afraid of snakes! 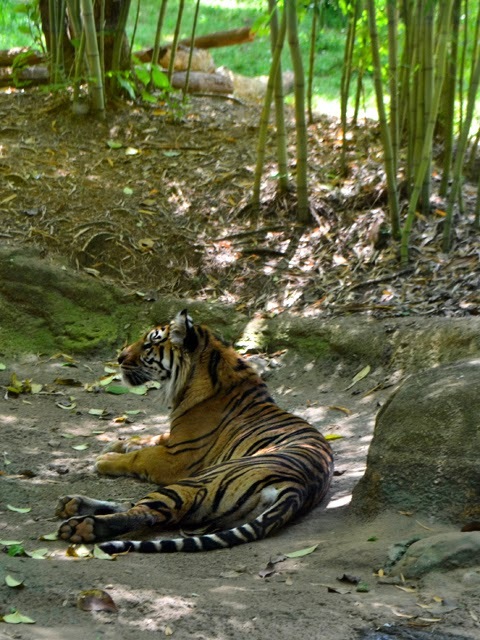 It's a very well done habitat, and example of when the Zoo first started creating "natural" habitats for its animal residents—the move away from just cages. Back to just before we got to the Zoo entrance... Of course I had to throw in a learning component. I shared with the guys the origin of Zoo Atlanta...but I kept it short and simple, so we could get right to the fun. What I shared with them: In the late 1880s, a circus came to town, and unfortunately the owner had serious money problems and had to abandon the animals. A local businessman purchased the animals—a particularly fascinating collection—and donated them to the city. Very soon after, Atlanta's first zoological venue opened, destined to become today's Zoo Atlanta. Just as we were approaching the Warthog habitat, after having just come from the Meerkat habitat, Mary Jo burst into ♪Hakuna Matata♪. The father of the family that was already at the habitat admitted he'd just sang the exact same ditty. That was a fantastic tie-in to the another element of my Where Atlanta prize package—tickets to see The Lion King at the Fox Theatre. I wonder how the tie-in is going to play out when I use the Hard Rock Cafe gift card. Hmmmm....that would be—or will be—an interesting story, I'm sure! Giraffes have long been a personal favorite animal. They're such graceful animals, even when it's not easy to be. I was a volunteer at the Smithsonian National Museum of Natural History in Washington, D.C., when the Hall of Mammals reopened after being restored to its original 1910 state. The giraffes on display are stunning, and one of them is poised as it would be to drink water from a river...if you've never seen that, Google it! Babies, babies, babies! There are so many babies at Zoo Atlanta. The Zoo posted a brilliant collage on Mother's Day...quite cute. My favorite is the orangutan...I've loved orangutans since I was a teenager. 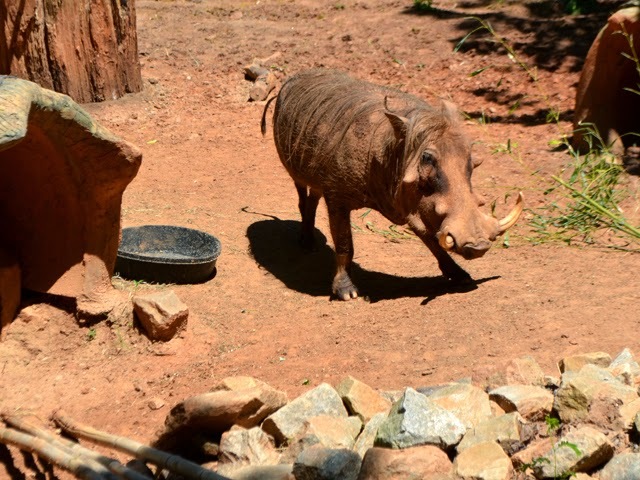 There's a lot going on at Zoo Atlanta. 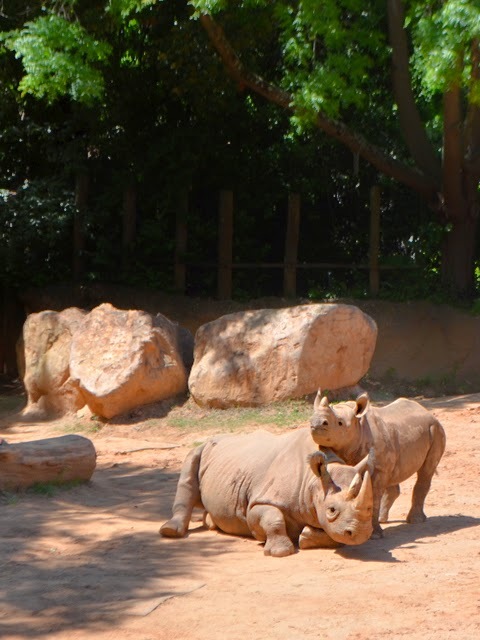 Coming up are Brew at the Zoo and Wild on the Rocks...both look like great fun! Those are just a couple of the grown-up events. There are a bazillion events for youngsters and the whole family! When you get your tickets, may I recommend arriving early in the day, so you have more than a moment at the Zoo. There's so much too see. We barely saw half of the Zoo in the fast-paced hour we had. 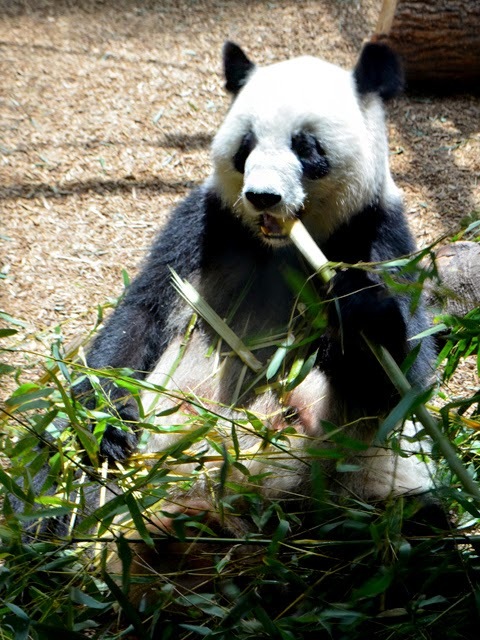 Thank you to Zoo Atlanta for the extra tickets—can hardly wait to return for a full day—and thanks again to Where Atlanta Magazine for the original tickets...we had a great time!